Even after having tasted quiet a few bars by now, but not nearly close to the numbers some other reviewers have achieved, I’m still being surprised by the complexity and array of tastes in fine chocolate. Still makes me wonder why it took me 36 years to discover it! Back to what’s on the table today. The second Fruition bar I received from Adrienne, a wonderful lady from New York. This time, it is a little higher in cacao content (70% compared to the 66% signature bar I reviewed a while ago) but the origin is the same, so this is actually a great experiment in how the content of the chocolate can change the taste profile. 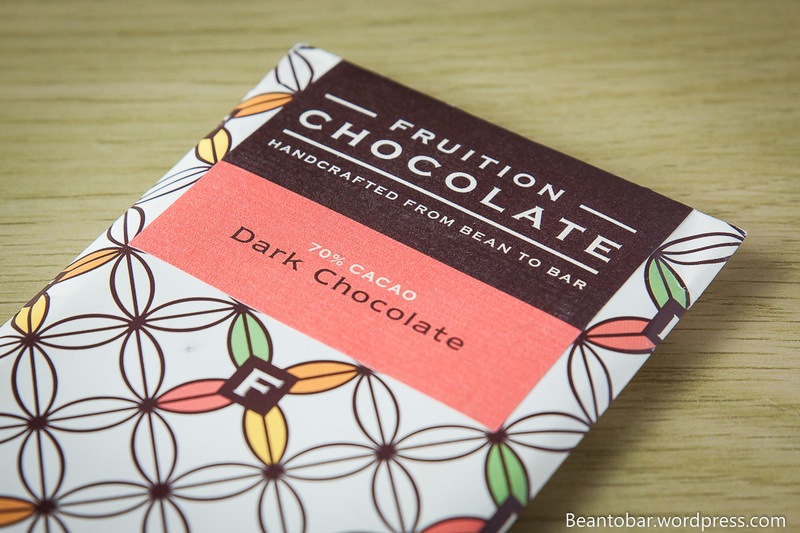 Fruition, a small batch craft chocolate maker based in Catskill Mountains near New York, made this bar from Peruvian cacao. This time around, there is only cacao solids, cane sugar and cacao butter included. How will the absence of vanilla change the taste profile? After all, 70% cacao is very close to 66%. Unfortunately, there is no info on the difference in roast or conche, so we just have the taste to discover. The bar is equally wrapped as all their other bars, inside a very nice graphic designed outer sleeve and a cellophane wrapper inside. Once more, the bar was broken somewhere during the Trans-Atlantic voyage, making it all the bars in the package. 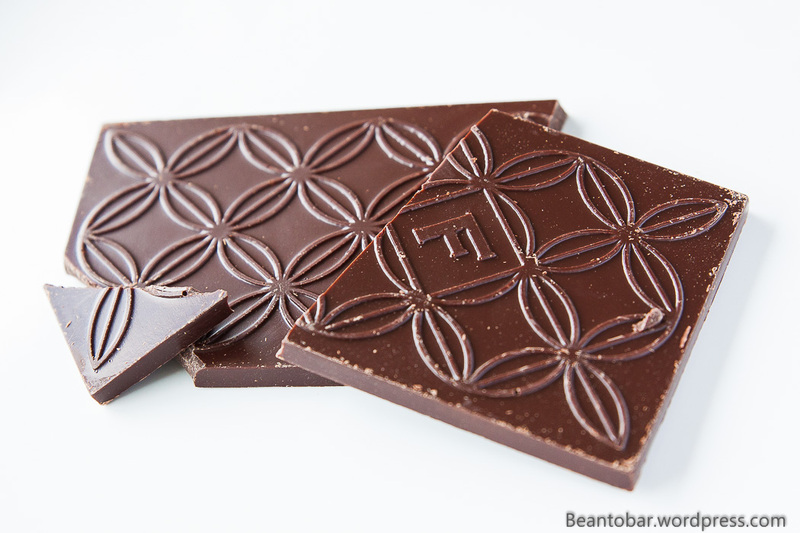 Oh well, it is the taste that matters, but the bar is so beautiful, it still is a shame… the chocolate itself is shining nicely and looks very appealing. Color: A luscious deep brown – pretty equal to the 66% bar. 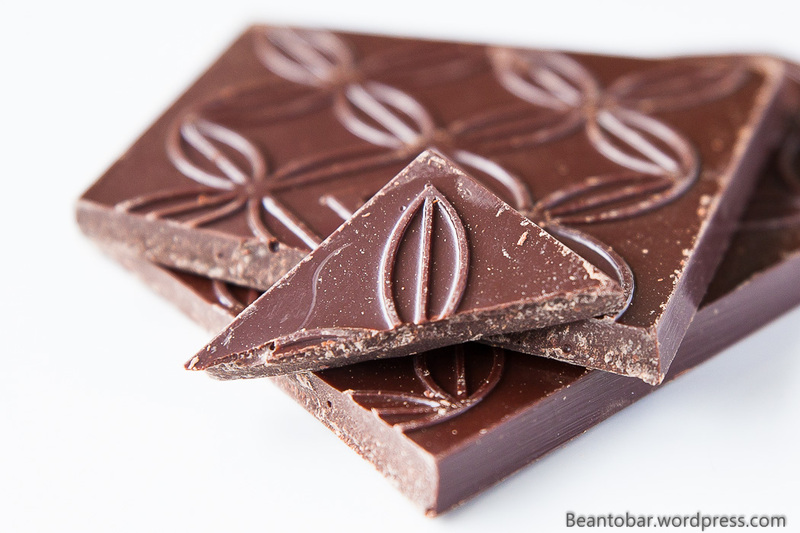 Aroma: an impressive aroma comes from the bar as soon as you open the blister, deep cacao emerges , clear wood tones and a touch of spices combined with tobacco. Very promising. Taste: a pretty quick, slightly sweet start provides some light tannins and loads of rich chocolate. The texture is out of this world. Melting ever so silky, one would expect it to be made in France. Not a trace of clinging cacao butter, just perfect a perfect balance between solids and butter to assure a great texture. Underneath the main aroma a fresh, green acidic zing pops up and lingers for a moment, keeping the aroma fresh and light, before crystal clear spices come through. I detect cinnamon, ginger and clove. Almost like biting in a Belgian cookie called speculoos or gingerbread. The aftertaste rolls in flawless, repeating the same amazing spicy tones, a touch of dried tobacco and lots of chocolate and keeps rolling for a really long time! Once more, this Fruition bar makes it very hard to put away the bar and not break off another piece to indulge your senses once more. Where the 66% signature bar offers lots of yellow fruit and a great aromatic balance, this 70% bar is totally different in nature, throwing three distinct aroma waves at you. Gone are the fruits, in come the lovely spices. 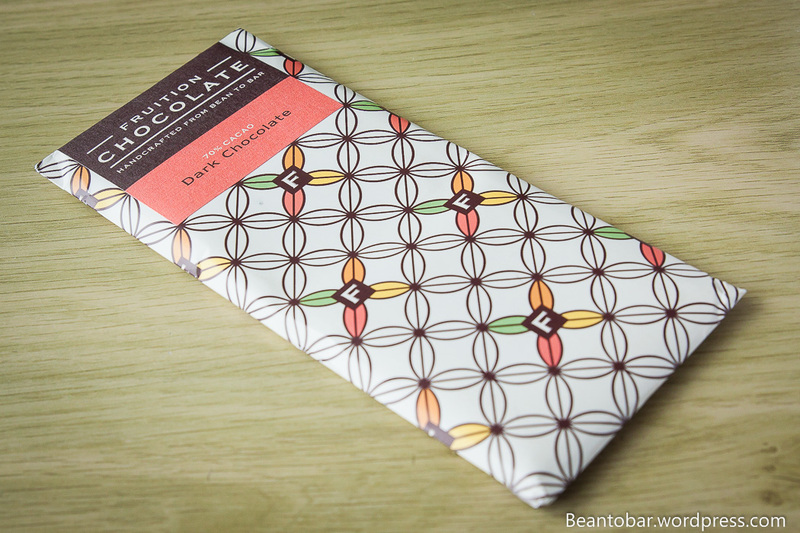 Fruition touches my palate deep with this bar, light and extremely aromatic, I can’t give anything less than 5 stars! Perfect! This illustrates how a great chocolate should be and how a chocolate maker can bend the chocolate profile by changing the way the cacao is processed. Coming from the same origin, this ends in two very different flavor profiles. It would be great to know if there is any difference in the cacao bean type or if this is all down to the chocolate making process. Anyway, Mr. Bryan Graham, I’m a fan of your work. A big one!